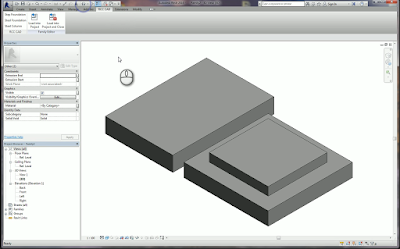 Until now, to create a step foundation Autodesk® Revit® users had to use the foundation template, calling for them to draw the rectangles of the required dimensions and then extruding them. With the Instafoundation app, users can build the step footing without drawing a single line. They need to input their footing sizes in the dialogue box and their footing is then ready. Very simple. 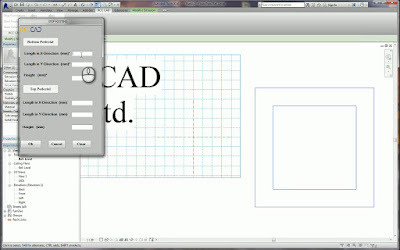 Even a non- Revit user can use it. 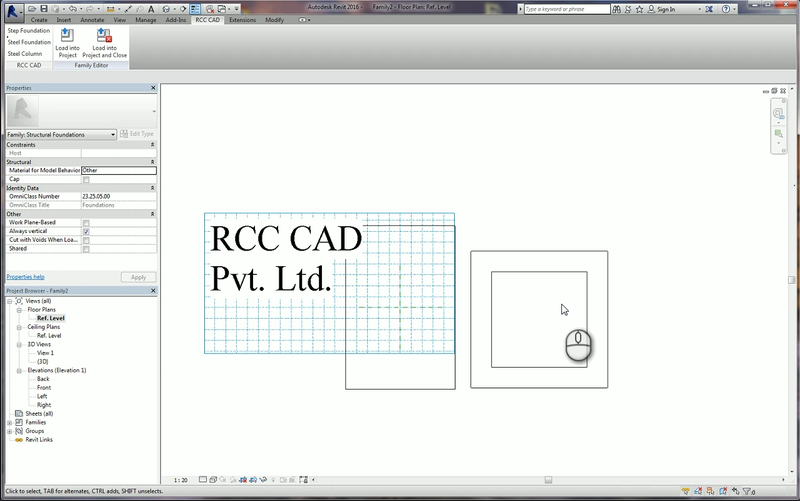 The plug-in is available to you in the Revit Structural Foundation template under RCC CAD menu. You can create footings in imperial as well as metric units. It saves time by 90%. 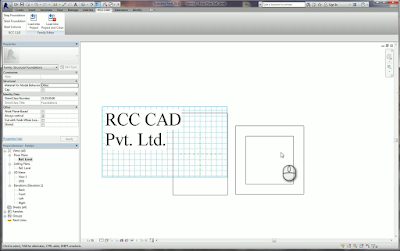 Non Revit users can also create the footing with very little training. You can also create single pedestal footing. 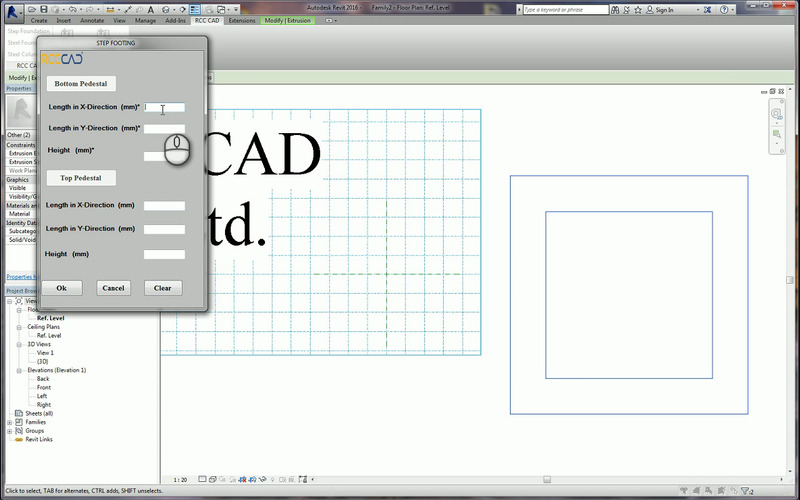 The free InstaFoundation add-in is brought to you by RCC CAD Pvt. Ltd.